The Omega J8226 (J8006) is Omega’s best selling masticating juicer, and has the ability to juice everything from fruits and vegetables to wheat grass and leafy greens. This juicer is very similar to the Oscar DA900 which was recently discontinued. The Omega J8226 (J8006) is a single gear multi-functional masticating juice extractor. It is the 220V version of the J8006 with the same great features. The low speed of 80 RPMs results in minimal heat buildup and less oxidation promoting healthy enzymes and longer lasting juices. Designed and engineered for health-conscious individuals who want a greater variety in their daily juicing routine, the Omega J8226 has the ability to juice everything from fruits and vegetables to wheat grass and leafy greens. 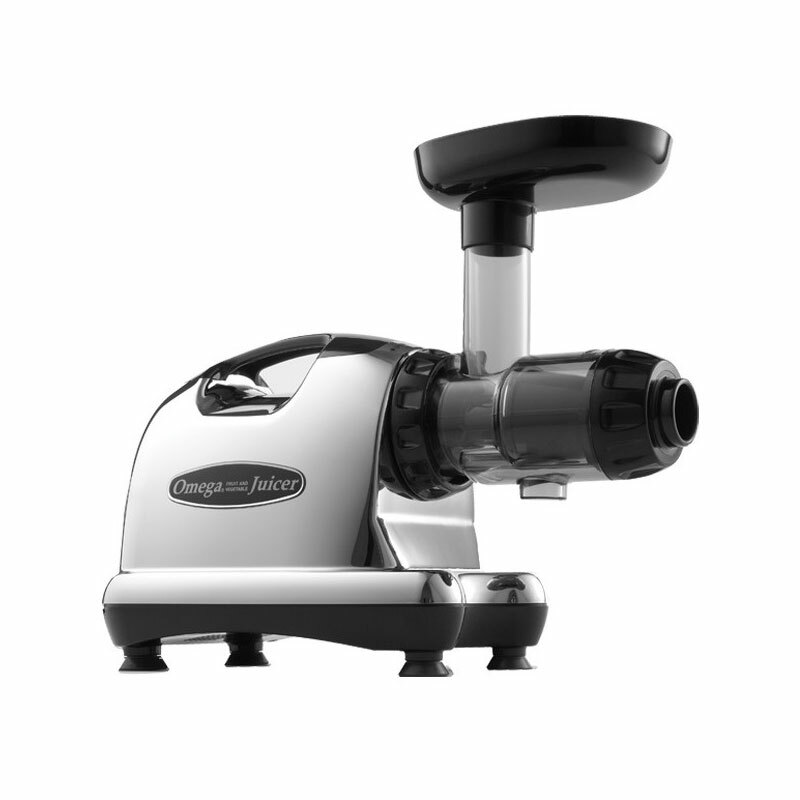 The Omega J8226 masticating juicer is equipped with a powerful motor and thoroughly chews up plant fibers to fully extract vitamins, enzymes, and minerals from fruits and vegetables. The dual-stage juicing system ensures maximum efficiency while the low rotation speed of 80 RPMs means no foaming, no clogging, and no heat build-up. Other highlights include a high juice yield with very dry pulp, an automatic pulp-ejection function for continuous juicing, heavy-duty construction, four stabilizing feet and quiet operation. Designed for convenience, the Omega J8226 is easy to assemble, operate and clean. The Omega J8226 makes delicious healthy drinks and snacks for everyone to enjoy. Good health has never been this easy! Note: The Omega J8226 is the 220V model of the popular J8006.